Are You Suffering With Hip Pain, Knee Pain Or Shoulder Pain? Our Chicago, IL Joint Pain Doctor Can Help! Do you suffer from knee pain, shoulder pain, or hip pain? Have you been suffering in the fog brought on by long-term painkiller use? If that’s the case, then cellular orthopedic treatment with our Chicago, IL, joint pain doctor may be the answer to your troubles! Cellular Orthopedic Treatment is a non-surgical, revolutionary procedure has been scientifically shown to reduce or even eliminate pain in the joints, freeing patients from their dependence on pills. Cellular orthopedics carries minimal to no risk, and it doesn’t require any lengthy rehabilitation period. Maybe you’ve been experiencing joint pain for a long time but never thought anything of it. If that’s the case, we invite you to come visit Dr. Sheinkop, our 5-star-rated orthopedic surgeon for cellular orthopedic treatment in Chicago, IL. Want To Learn More? Schedule A Consultation With Our Chicago, IL, Joint Pain Doctor. 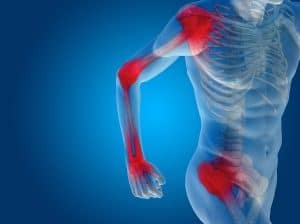 Click here to learn how cellular orthopedics and cellular orthopedic treatment in Chicago, IL, can help with your knee pain, hip pain or shoulder pain. To schedule an initial consultation and learn whether you are a candidate for cellular orthopedic treatment, click here. To speak to someone today, call 312.475.1893.